Winter in Minnesota is notoriously treacherous. Sub-zero temperatures. Deadly blizzards. Icy winds that’ll blow the lip gloss right off your face, and leave your naked maw puckered and chapped. By March, after months of potatoes drowned in gravy, when the snow is still piled up in grey, icy mounds and it seems spring is never going to come, I dream of fresh, ripe summer berries. I long for strawberry shortcake and blackberry pie and homemade jam. And I wonder when will the berries at the grocery store drop in price and stop tasting like sawdust already?! Well thanks to global warming or the world ending or something, we’ve seen record highs in temperatures and record lows in snowfall this winter. 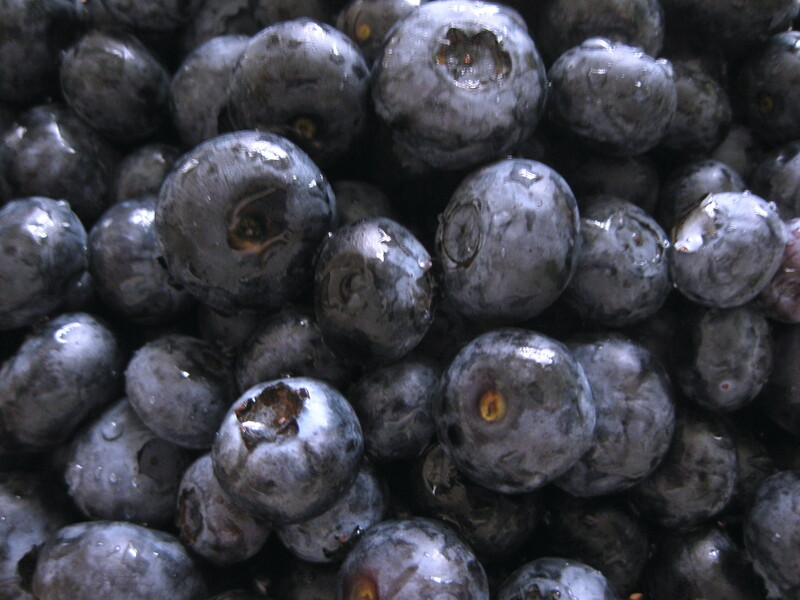 And I can’t help but believe this bizarro weather is somehow responsible for the rock-bottom price on sweet, juicy, organic blueberries at Rainbow last week. We may very well pay the price down the road for this uncharacteristically mild weather. But if I can do nothing to change it, I figure I may as well enjoy it. 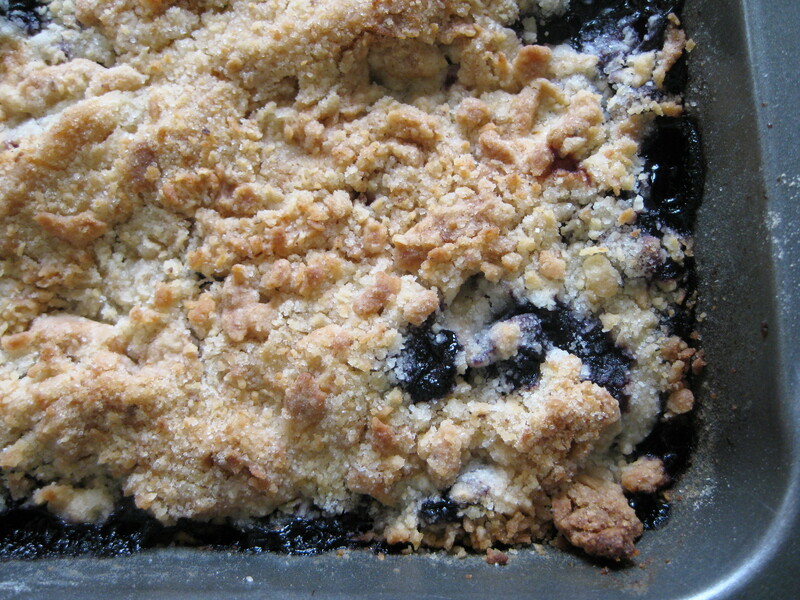 And I’m enjoying the weather with blueberry crumb bars. The crust is rich and buttery with a satisfying crunch, and the blueberries bake to a perfectly thick, sticky jam that’s packed with fresh fruit flavor but not too sweet. Y’know what summertime tastes like? This. A rich, buttery crust filled with fresh, sweetened blueberries baked to a perfectly thick, sticky jam. Y’know what summertime tastes like? This. Preheat the oven to 375 degrees. Grease a 9×13-inch pan. In a large mixing bowl, stir together 1 1/4 cups sugar, flour, and baking powder. 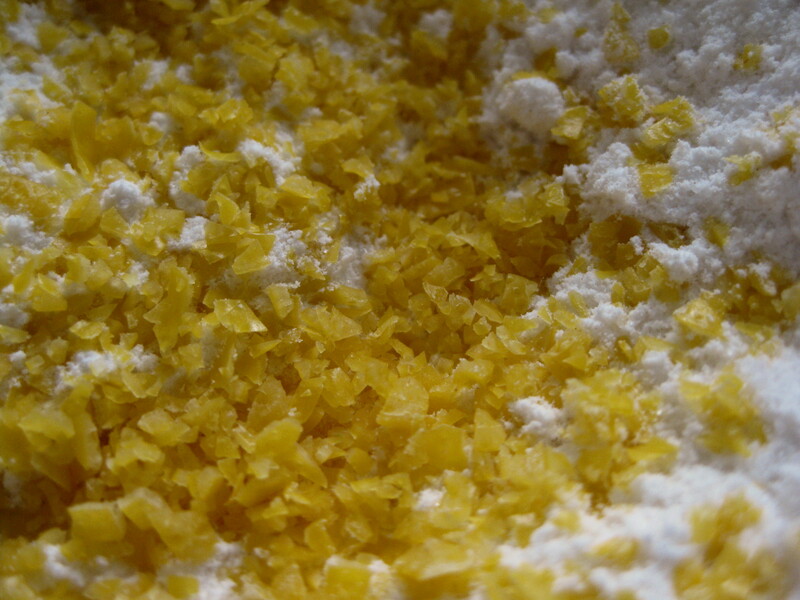 Mix in salt and lemon zest. Use a fork or pastry cutter to blend in the butter, vanilla, and egg. Dough will be crumbly. Pat half of dough into the prepared pan. Bake in preheated oven for 45-50 minutes, or until the top is golden brown. Cool completely before cutting into squares.